Singapore has one of the highest population densities on the planet, and feeding over 5 million people in this small island city is pushing urban farming to new heights. The land in this island city comes at a premium, forcing residents to expand up rather than out. 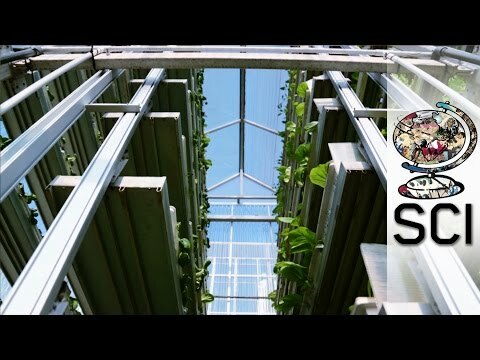 Singapore now has one of the worlds first commercial farms, a super-efficient vertical farming system called SkyGreen. The system offers one example of how this might be possible, not just technically, but economically. Can we supply enough food for everyone on the planet? By increasing food security while reducing the impact of food production on global climate change, SkyGreen is 10 times more productive per square foot than conventional farming. The vertical systems which are 9 metres in height (3 storeys), housed in protected-outdoor green houses, allow tropical leafy vegetables to be grown all year round at significantly higher yields (than traditional growing methods) that are safe, of high quality, fresh and delicious. Nikola Tesla is considered to be the father of modern technological age and one of the most forgotten scientists in history.